In the previous instalment of Tales From the Terminals, we had a look around St Pancras International Station. We now move onto its next door neighbour; King’s Cross. Overlooking the roar of Euston Road, King’s Cross is located in the midst of one of London’s busiest areas. ‘Battle Bridge’- King’s Cross before the railways arrived…. One of the most popular legends connected to the area is that Queen Boudicca, Celtic Queen of the Iceni and leader of a blood-thirsty revolt against the occupying Roman forces around AD60, had her final stand here; a ferocious battle in which it is believed some 80,000 Britons were slaughtered. Finally defeated and slain here by her Roman foe, it is said that the warrior-queen’s body is buried somewhere deep beneath platform 9 or 10 of King’s Cross Station. Sadly, no evidence exists to back up this age-old rumour! Some say that the name Battle Bridge was connected to Boudicca’s grisly skirmish with the Romans. Although this has never been proven, one thing is certain; a bridge did exist here; a short, rickety crossing which once spanned the now submerged River Fleet. For centuries, Battle Bridge remained a wild, rural area whose isolated nature made it a popular spot for chaps wishing to duel and highwaymen seeking to rob. One of the highwaymen who stalked this patch was John Everett; a notorious character who, in the 18th century, carried out robberies all over London and the surrounding countryside. In 1731, Everett held up a stagecoach at Battle Bridge; a crime which led to his capture and eventual execution. By the 18th century, the area was starting to become a popular destination thanks to the existence of a spa (a by-product of the Fleet River). Known as ‘St Chad’s Well’, the sparkling clean watering hole attracted hundreds of people every day, all of whom were keen to come here and sip beautiful, fresh water, uncontaminated by the filth and stench of the city. Battle Bridge’s association with health continued when a hospital for smallpox sufferers was established in 1746. It stood for exactly 100 years, closing in 1846. King’s Cross Station itself now stands upon the site. Battle Bridge changed its name to King’s Cross in 1836 when a statue of King George IV (who reigned from 1820 to 1830) was placed here. With his life and reign characterized by unreliability, selfishness, greed, weak leadership and chronic overspending on pet projects, George IV had never been a popular character… and Londoners still bore a grudge. The oversized memorial to the pompous king attracted so much negativity that it was removed a few years later in 1842. The birth of King’s Cross as we know it today occurred between 1851-1852, when the Great Northern Railway moved in and constructed their London terminal in the vicinity. The station’s architect was Lewis Cubitt; brother of Thomas Cubitt (another noted Victorian architect) and William Cubitt who went onto become Lord Mayor of London. Straightforward, practical and forged from London Brick, King’s Cross received much praise when it first opened. At first (as with Euston), there were only two platforms; one for departures and one for arrivals. However, it did not take long for the terminal to expand; its popularity quickly necessitating the spread of further platforms. The fine clock, which takes pride of place in the purpose built tower, was built by Dent of London; the same company who were responsible for Big Ben’s timepieces and the two clocks which have graced St Pancras. Two years after the station opened, Cubitt built the Great Northern Hotel just behind the terminal; the first purpose-built hotel in London. The Great Northern finally closed its doors in 2001 and now stands derelict… although there are currently plans to renovate the building and turn it into a ‘boutique’ hotel. One of the most famous trains to operate in and out of King’s Cross is of course, The Flying Scotsman. Still running today, this early morning service provides an important link between London and Edinburgh. The service first began in 1862, hauled by a class of engine known as the Stirling. In their day, the Stirlings were amongst the fastest trains in the world. However, the journey between the two capitals still took some 10 ½ hours! With the London to Edinburgh route proving so lucrative, railway operators were constantly striving to make the trip as fast as possible. As a number of steam engines, each faster and more powerful than the last, were developed, the journey time between the two capitals declined steadily. In 1924, the record stood at 8 ¼ hours and by 1938, it had dropped even further to 7 hours and 20 minutes. By far the most famous of the Flying Scotsman to serve King’s Cross was the LNER Pacific class; a much celebrated engine which, when it was brand-spanking new, had been paraded before the public at the 1924 British Empire Exhibition, held beside Wembley Stadium. This wonderful machine enjoyed a long career; remaining in service until 1963. When thundering between the two capital cities, this powerful steam locomotive was capable of reaching speeds of up to 100mph. Needless to say the engine’s boiler was ravenous; each journey between London and Edinburgh required an amazing 9 tonnes of coal to be continuously fed into the billowing furnace. The firemen who shovelled such colossal amounts were tough fellows indeed… you probably wouldn’t have wanted to challenge them to an arm wrestle! As steam was phased out in the 1960s, the Flying Scotsman service was handed over to the even more powerful British Rail Deltic locomotives which, with a nod to their purpose, were christened with names such as The Royal Scots Grey, The Royal Highland Fusilier and The Gordon Highlander. Designed for service between London and Edinburgh, these mighty machines were the most powerful diesels to have ever operated on the UK rail network, remaining in service until the early 1980s. A journey on-board a Deltic hauled train can be seen in the opening credits to the cult 1971 film, Get Carter. Travelling from King’s Cross to Newcastle-Upon-Tyne, a London-based gangster (played by Sir Michael Caine) is heading north on a quest to learn about- and ultimately avenge- his brother’s death. Today, the Flying Scotsman lives on; now operated by East Coast Mainline. The journey time between London and Edinburgh now stands at approximately 4 ½ hours; quite an improvement on the early days! 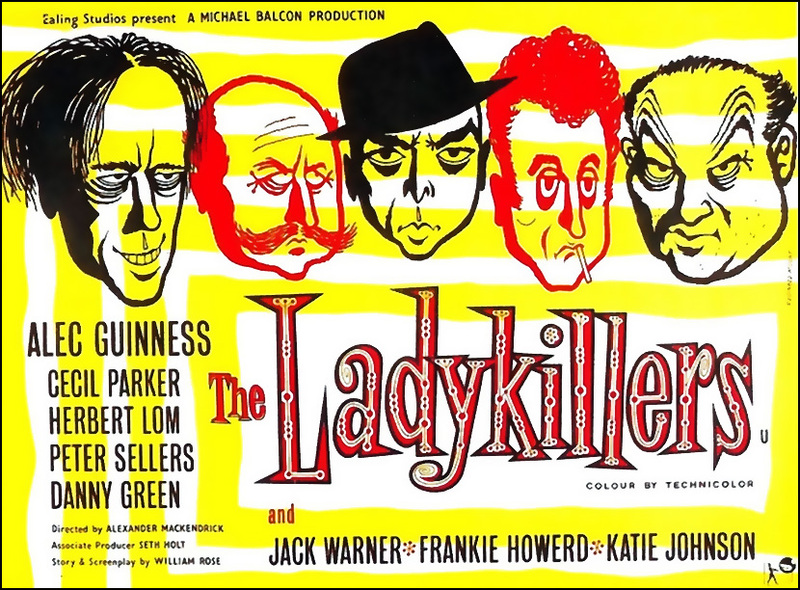 Released in 1955, this much-loved Ealing Comedy is truly ingrained within the King’s Cross area. The plot focuses on a motely gang of armed robbers, who are planning to hold up and rob a security van as it stands within the station itself. Posing as travelling musicians in search of a rehearsal space, the crooks- led by a ‘Professor’ Marcus (played by Sir Alec Guinness)- rent out a room in a local house to act as a base for their heist. The house, which is perched over a railway tunnel leading into King’s Cross Station, belongs to Mrs Wilberforce, a sweet, elderly and supposedly unassuming widow who susses out her the true intentions of her guests, resulting in havoc and disaster amongst the gang! The area around King’s Cross had never been prosperous but, by the 1980s, it had become one of London’s most notorious locales; a seedy hotbed of crime, drugs and prostitution. The atmosphere of the area around this time was chillingly captured in the 1986 film, Mona Lisa. 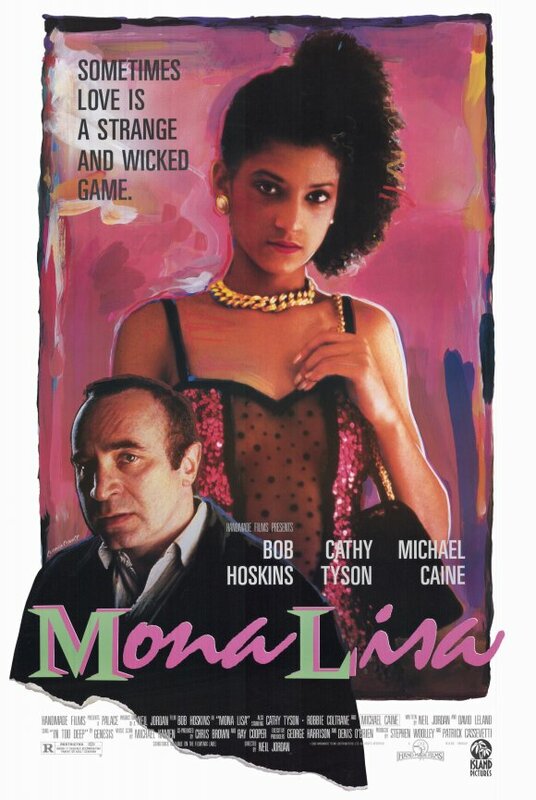 Made by Hand Made Films (a company which had been founded by ex-Beatle, George Harrison), Mona Lisa tells the tale of George (Bob Hoskins), an ex-con who has just completed a stretch in prison. Looking for legitimate work, he ends up securing a job as a chauffer for Simone (Cathy Tyson); a high-class call girl who learnt the tough rules of her trade on the ‘meat rack’; the red light district centred around the depraved streets of King’s Cross. When portraying the red light district, certain scenes of Mona Lisa were in fact shot on Pindar Street behind Liverpool Street station, probably because King’s Cross at the time was simply too intense to carry out location filming. In more recent years, King’s Cross has famously featured in the Harry Potter franchise. Its first role was in the very first instalment; Harry Potter and the Philosopher’s Stone. 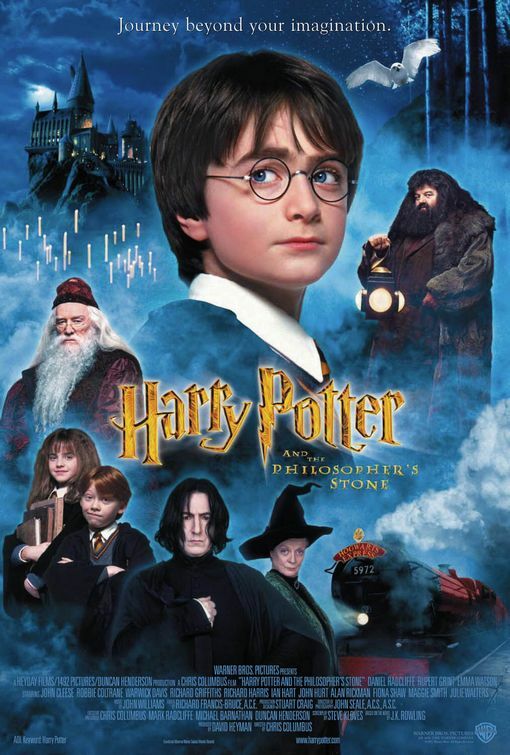 Upon discovering that he’s a wizard and is to therefore attend Hogwarts School of Witchcraft and Wizardry, Harry goes to King’s Cross station to catch the Hogwarts Express; the mystical train, hauled by a beautiful, red steam engine, which conveys pupils to the boarding school (apparently located somewhere deep within the Scottish Highlands). Once at the station, Harry- not yet used to the magical way of doing things- is unable to find ‘Platform 9 ¾’, the departure point for his journey. With help from the Weasely family, Harry soon realises that he has to run through what appears to be a brick wall! The famous scene was actually filmed on a wall between platforms 4-5. Today, King’s Cross Station has paid homage to the famous scene by embedding a luggage trolley into the brickwork! 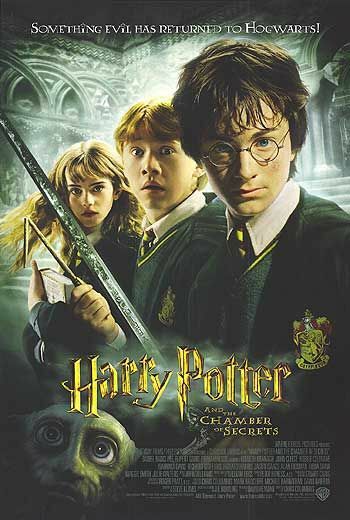 The station then appeared at the beginning of the next instalment; The Chamber of Secrets. In this episode, Harry and his best friend, Ron miss the Hogwarts Express, and are forced to improvise by commandeering an old Ford Anglia… which flies! As they take off, the outside of King’s Cross is cheekily portrayed as being St Pancras Station; the gothic masterpiece which stands next door! In the 2007 instalment, The Oder of the Phoenix, the tone becomes far darker when Harry, waiting to depart King’s Cross, is overcome by a nightmare-like sequence in which he spots his arch enemy, Voldermort, standing like an apparition on the platform. Shortly after his hallucination, Harry is met by his godfather, Sirius Black (played Gary Oldman; the greatest actor to come out of south-east London’s New Cross). Before Harry’s departure, the pair meet in a King’s Cross waiting room, where Sirius departs some words of wisdom. The final chapter in the Harry Potter series is the two-part, Deathly Hallows. At the very end of the last film, King’s Cross station (the outside once again craftily portrayed as St Pancras!) appears in the very last scene. Set years later, Harry is now all grown up, and we see him escorting his own children to Platform 9 ¾ as they prepare for wizzarding school. The appearance of King’s Cross in this epilogue therefore makes it the very last location and scene to feature in the series. Saw this on QI a couple of weeks ago. In the 1930’s there were plans to turn Kings x into an airport!